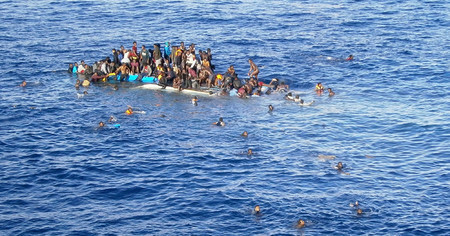 Human mobility now occupies a prioritised space in policy and agenda-setting discourse in the 21st century, and its inclusion and implementation in the Post-2015 Development Agenda has been called on by a number of international organisations and entities. 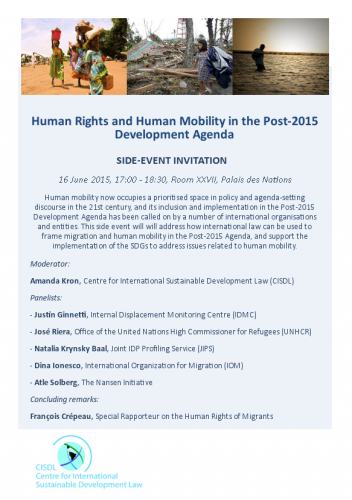 This side event will address how international law can be used to frame migration and human mobility in the Post-2015 Development Agenda, and support the implementation of the SDGs and other international legal regimes to address issues related to human mobility. 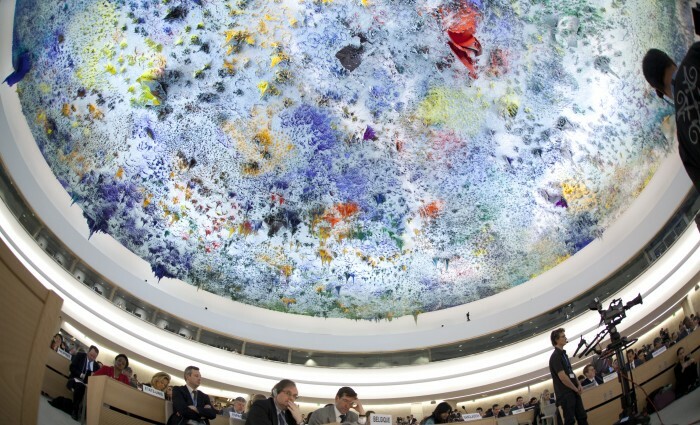 François Crépeau provided concluding remarks on the importance of the post-2015 agenda for ensuring the human rights of migrants and for demonstrating that the rights outlined in the SDGs apply equally to migrants. Distinguished Lecture and Open Discussion with Prof. François Crépeau, Oppenheimer Professor of International Law at McGill University (Montreal) and UN Special Rapporteur on the Human Rights of Migrants. 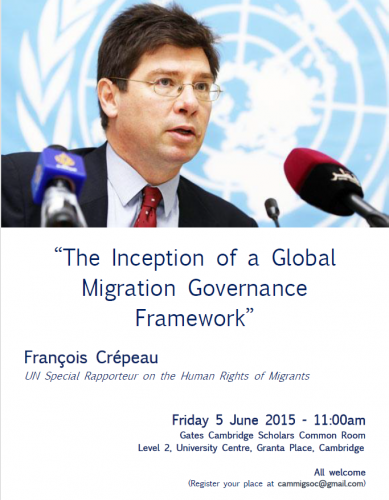 Francois Crepeau, hosted by the Gates Foundation, spoke on ‘The Inception of a Global Migration Governance Framework’, Friday 5th June, 2015, organised by doctoral researchers Fabrice Longronget, Olimpia Squillaci and Andrea Binder.